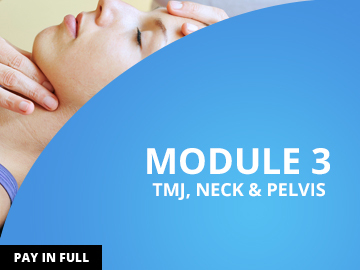 Myofascial release in the treatment of the temporomandibular joint and cervical spine. Participants will explore the emotional and physical causes of chronic jaw and neck pain, as well as the spiritual dimensions of bodywork, as they relate to the area of jaw and neck dysfunction. 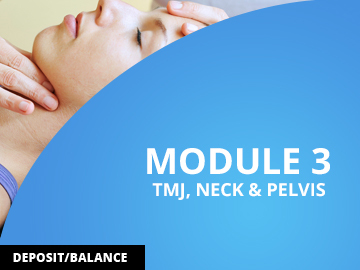 NOTE: Module 1 or Module 2 is a prerequisite for the TMJ, Neck & Pelvis course.